Internal injuries can cause life threatening complications after a car accident, especially if prompt medical attention is not received. One common type of internal injury associated with car accidents is an abdominal aortic aneurysm. 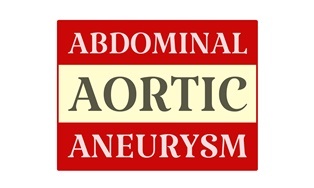 An abdominal aortic aneurysm is an enlarged portion of the lower part of the aorta that runs from your heart to the center of your chest and abdomen. This is the major blood vessel supplying blood to the body, which means an abdominal aortic aneurysm is a very serious internal injury. If the aneurysm ruptures, it can cause life threatening internal bleeding. A physical exam, ultrasound, or CT scan can diagnose an aneurysm. You should always have a medical evaluation after a car accident, even if you are experiencing no visible symptoms at the time. Treatment protocol for an abdominal aortic aneurysm depends on the size and rate at which it is growing. Waiting or using medication to treat the condition may be recommended in minor cases, but a large aneurysm will require emergency surgery. Open repair of an aneurysm is a complicated procedure that generally requires a hospital stay of about one week and a recovery time of several months. Abdominal aortic aneurysms caused by car accident trauma can be accompanied by other forms of internal injuries, including internal bleeding, broken ribs, and organ damage. Keeping careful records of all of your accident-related expenses is essential to maximizing the size of your personal injury settlement. You should keep copies of all medical bills you've received, as well as records indicating what payments were made by your health insurance. When you receive your personal injury settlement, your insurance company may place a lien on a portion of the proceeds. This is also known as subrogation. Lost wages are typically documented with payment records from your employer. If you are self-employed, however, you may need to provide tax returns and business records to support your claim for lost income. Expert testimony to support liability and confirm the extent of your injuries may also be required. Testimony is particularly important if you are male, overweight, over age 60, a current smoker, suffer from high blood pressure, and/or have a sedentary lifestyle. All of these factors can lead to an abdominal aortic aneurysm in the absence of trauma, so testimony helps to prove the precise cause of your injury. You are still eligible to receive compensation if you are partially at fault for the accident that caused your abdominal aortic aneurysm. However, under Louisiana law, your settlement will be proportionately reduced by your assigned percentage of fault. The reduction in compensation reflects your financial responsibility for your injuries. Hiring an experienced attorney to advocate on your behalf is the best way to protect your rights throughout the process of resolving your personal injury claim. Insurance companies are focused on making profits for shareholders—not protecting the financial rights of people who have suffered from an abdominal aortic aneurysm or other serious internal injuries.